Lincoln Goodale Oil Portrait from the collections of the Worthington Historical Society (WHS) may be used for educational purposes as long as it is not altered in any way and proper credit is given: "Courtesy of the Worthington Historical Society, Worthington, OH." Prior written permission of the WHS is required for any other use of Lincoln Goodale Oil Portrait. Contact WHS at info@worthingtonhistory.org to request permission. Lincoln Goodale Oil Portrait is an art original. It was created in 1840. Lincoln Goodale was James Kilbourn's brother-in-law by his second wife, Cynthia Goodale Barnes. Goodale lived in Columbus, Ohio and prospered from the businesses of general merchandising and land speculation. He became the first millionaire in Columbus. He never married, but was a great benefactor to Columbus, donating the land for Goodale Park, one of the oldest urban public parks in the United States. 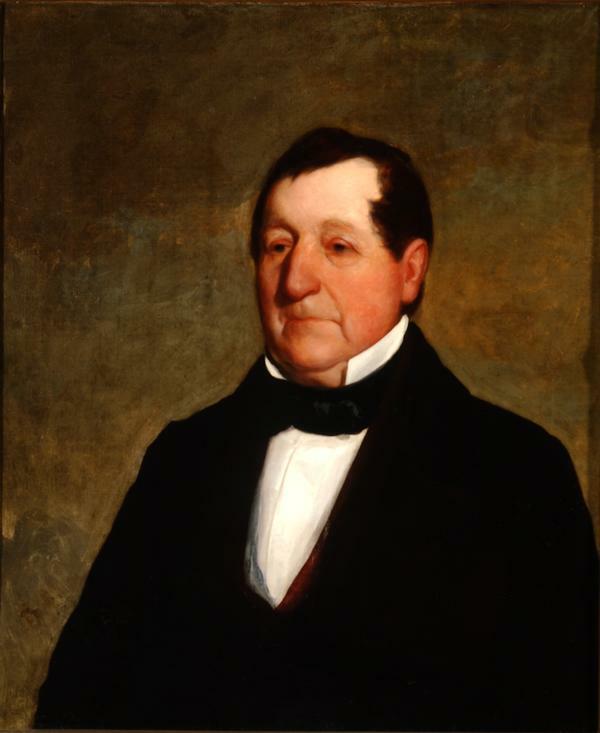 Goodale mentored the Kilbourn children and provided assistance to the family from 1820-1850 after James Kilbourn's business interests floundered during the economic depression of the 1820's. The Goodale family moved to Marietta, Ohio from Massachusetts in 1788. His father, Nathan, was a Revolutionary War veteran and was entitled to military lands. Nathan was captured by Indians in 1795 and died in captivity near Sandusky. Lincoln studied medicine in Belpre and moved to Franklinton in 1805 where he opened his practice. Lincoln Goodale was a member of New England Lodge No. 4, of Worthington and was one of the founders of Columbus Lodge at Columbus, Ohio. It features the person Dr. Lincoln Goodale, 1782-1868. The Worthington Memory identification code is whs0789. This metadata record was human prepared by Worthington Libraries on September 19, 2001. It was last updated November 17, 2017.